The station is powered by a Davis Pro 6162 weather station. The data is collected every 5 seconds and the site is updated every 5 minutes. This site and its data is collected using Weather Display Software. The station is comprised of an Anemometer, a Rain Gauge, a Thermo-Hydro Sensor, Solar and UV Sensors and is situated in optimal positions for highest accuracy possible 427ft above Sea Level. Belmont is a suburb of Lower Hutt, to the north of Wellington in the North Island of New Zealand. 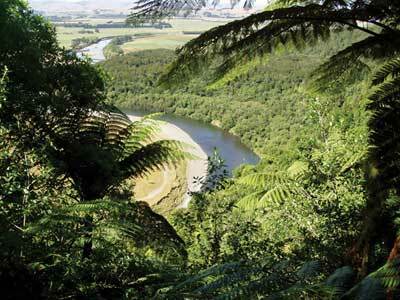 It is on the west bank of the Hutt River, on State Highway 2 (SH2) and the Wellington-Hutt main road. Belmont lies across the river from the centre of Lower Hutt. It borders the Belmont Regional Park and as such is surrounded by native bush and beautiful views. Belmont Regional Park is the largest of the Wellington Regional parks, stretching close to 15km from Wellington Harbour to Haywards and 10km towards Porirua. The Park mostly contains farm land, native bush, and peaks up to 456m (Belmont Trig).